1. “Read verified, not fake news,” Gauri Lankesh wrote in her last tweet. A seasoned journalist and activist known for her fearless criticism of right-wing extremism, she was gunned down outside her home in India. The weekly she owned and edited was published in which language? 2. 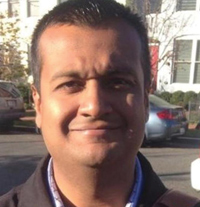 Raj Shah, a former deputy communications director, has been appointed as principal deputy press secretary in the Trump administration. While it’s a top job in the communications team, who is the only Indian-American to have a cabinet-level job in the Trump administration? 3. Competitive virtual gaming is big business. Just ask Sahil Arora, said to be the world’s highest earning gamer, according to several sources. 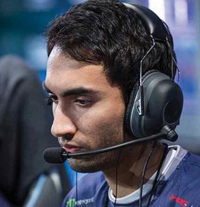 A professional Dota 2 player (alias: UNiVeRsE), Arora is so successful that he chose to drop out of college. His earnings are close to how much? 4. Who will play the role of Meera, a 30-year-old Indian-American woman living in Cleveland? Meera will be transformed into a superhero, thanks to some help from aliens. 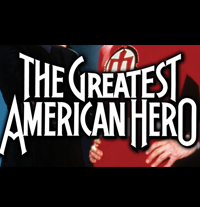 Titled The Greatest American Hero, this sitcom is a remake of an ABC series from the early years of which decade? 5. 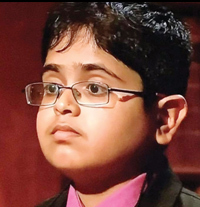 With an IQ of 162, Rahul Doshi is Child Genius 2017. One of the 12-year-old’s feats: he memorized a sequence of 52 cards in an hour. This contest, involving a challenging mix of math, general knowledge, and spelling questions, is broadcast live on TV. Where is Rahul from? (A) U.S.A. (B) India (C) Canada (D) U.K.
6. Described as the first English-language Bollywood TV show filmed in Hollywood, Made in America—hosted on Zee TV by Nina Davuluri—is about young South Asian women going through mental and physical challenges. When did Davuluri win the Miss America title? 7. 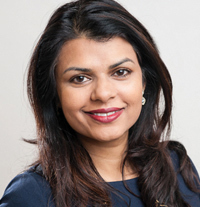 Stanford physician Vanila Singh, who specializes in pain management, is the chief medical officer for the office of the assistant secretary of health at the U.S. Dept. of Health & Human Services (HHS). HHS Secretary Tom Price represented which state’s 6th congressional district? 8. 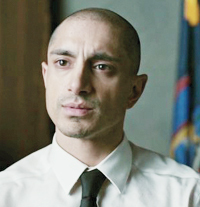 Riz Ahmed (Naz in HBO’s The Night Of) has become the first male of South Asian descent to win an Emmy for acting. Also this year, Aziz Ansari and Lena Waithe shared an Emmy for comedy writing. In 2010, who became the first South Asian female to win an Emmy for acting? 9. 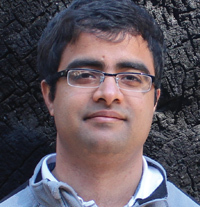 While Thomas Kailath received the Marconi Society’s Lifetime Achievement Award in 2017, Google researcher Ananda Theertha Suresh got the Young Scholar Award. And Arun Netravali, as Khabar already noted, won this year’s Marconi Prize, which recognizes achievement in what? 10. 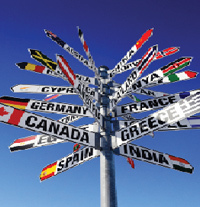 The U.S. is going through a turbulent period, and expats are showing less interest in it. Only 36 percent, per an InterNations survey of 166 nationalities, have a positive opinion of its political stability. It was 68 percent last year. In 2017, which nation got the highest ranking from expats? The devastation caused by recent hurricanes will remind some readers of a cyclone’s destructive power in the subcontinent. 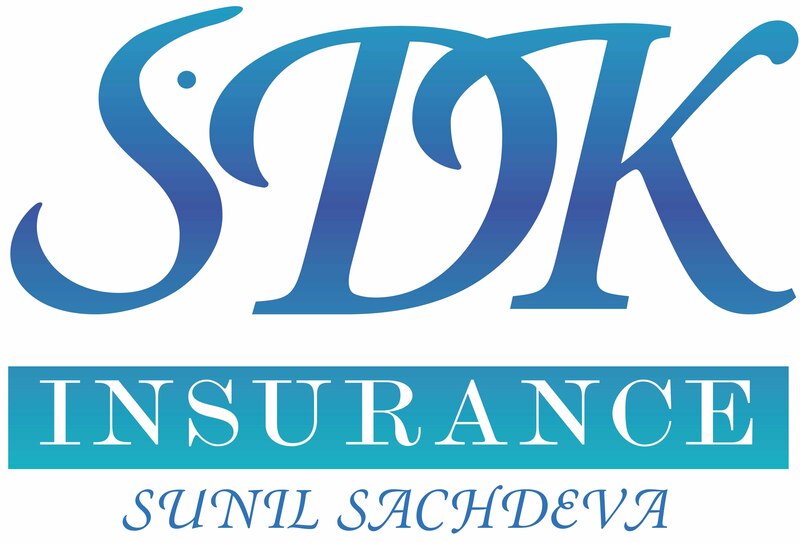 Take the Odisha super cyclone of 1999, which battered India’s eastern coast and killed perhaps 10,000 people. 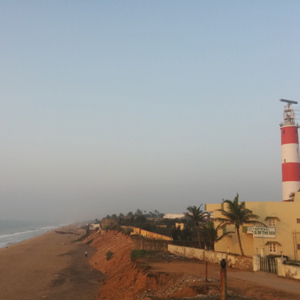 But in a curious fact highlighted by the project Atlas Obscura—founded by Joshua Foer and Dylan Thuras—the sturdy Gopalpur Lighthouse in Odisha survived the cyclone’s wrath. It also withstood another cyclone, Phailin, which made a landfall in Gopalpur four years ago. That makes this working lighthouse, first built in 1871, a beacon in more ways than one. In 2013, even as the cyclone was heading their way, the lighthouse personnel stayed on duty to give crucial updates. Yes, they all escaped Phailin’s fury. Dylan Thuras spoke about Atlas Obscura at the Decatur Book Festival, where a large crowd showed up for his lively slideshow presentation. The idea behind Atlas Oscura, a collaborative project covering many nations, is to “celebrate a different way of looking at the world”—which means even jaded travelers will make intriguing discoveries. Thuras began his talk with the root bridges of Cherrapunji, one of the world’s wettest places. Formed over time from the resilient roots of rubber trees, these natural bridges are stronger than man-made bridges. Despite the nonstop rain and intense humidity, they hold up well and can accommodate up to 50 pedestrians at a time. Some bridges may be over 500 years old! As the roots grow, Meghalaya’s residents often shape them to form proper bridges. Atlas Obscura’s scope is vast—for India alone, the number of unusual things to do is 86—but if you’re not in the mood to travel far, there’s plenty to see closer at home. Atlas Obscura lists 17 attractions in the Atlanta area. 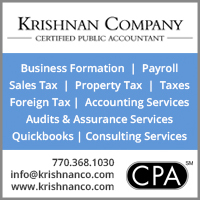 Besides the 70th anniversary of India’s independence, this year marks the 100th anniversary of another kind of Indian independence. 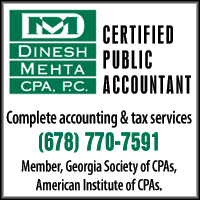 It was in 1917 that the indentured labor system—which saw the migration of almost 2 million workers from India to 19 European colonies—ended. Their legacy lives on through the descendants who form a vibrant Indian diaspora in places like Trinidad, Guyana, Surinam, and Mauritius. 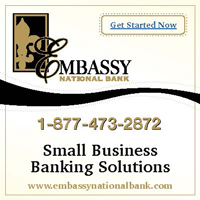 Slavery was abolished in the British colonies in the early 19th century, but it took another 100 years or so to end this new form of servitude—involving indebtedness, poor living conditions, meagre pay—and reform the labor laws. Poverty, caused in large part by famines, had forced laborers from the Indo-Gangetic plains to seek jobs in distant colonies, where they mostly worked in sugarcane plantations under harsh conditions. It all began with Mauritius. In 1834, three dozen laborers arrived in Port Louis, Mauritius, after a four-month sea voyage from Calcutta. The migration continued, and though it spread to other colonies, none had more Indian workers than Mauritius. It had close to half a million Girmityas (a corruption of ‘agreement’), followed by British Guiana (Guyana), which had roughly half that number. Appropriately, Mauritius has the oldest monument paying tribute to the saga of Indian indentured laborers. 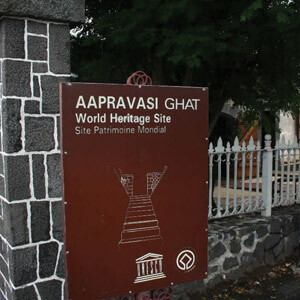 Called Aapravasi Ghat, this World Heritage Site dates back to the mid-19th century. An entry point for migrants, it used to be a complex of buildings—but now only three structures remain. Also during this time, in Malaya and Sri Lanka, there were Indian laborers in rubber plantations or tea and coffee estates, although they’d migrated from southern India. Most of the trash found on beaches and in the water is, unsurprisingly, plastic. The problem has become so bad that, according to Ocean Conservancy (OC), plastic has been found in all sea turtle species and 62 percent of all sea birds. Taking the lead to address this threat, OC created the International Coastal Cleanup, a network of 600,000 volunteers. So there’s a groundswell of support—and yes, they have an app for those who want to join the movement. It’s called Clean Swell. While plastic beverage bottles (over 1.5 million) rank number 2 in the top items collected, number 1 is cigarette butts (over 1.8 million). Still, it’s plastic that dominates in the top 10. 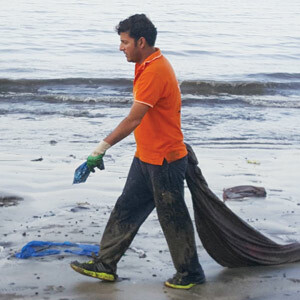 Afroz Shah, a thirty-something lawyer in Mumbai, started his own movement. About two years ago, when Shah moved into an apartment near Versova beach, he was shocked to see mounds of garbage reaching up to the average height of an adult. What began as a personal project, with Shah and his elderly neighbor picking up whatever trash they could from the beach every day, grew into a mass initiative—and in less than two years, volunteers collected over 11 million pounds of garbage (mostly plastic). The UN, among others, recognized the achievement, calling it the “world’s largest beach clean-up in history.” Shah, who received the UN’s Champion of the Earth award, was also involved in planting trees and over fifty public toilets for the beach. Now the volunteers are tackling other beaches in the city. It’s a tall order, considering that what they picked up in Versova was roughly equal to half the trash Mumbai produces each day! In this season of festivals, books are appropriate as gifts to brighten the days of readers. While adult readers may like the latest work by Akhil Sharma, Kamila Shamsie, or Salman Rushdie, what about youngsters? 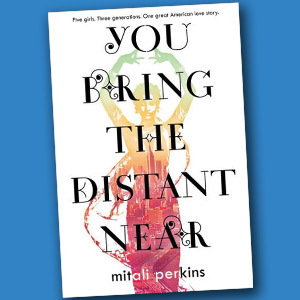 One Indian-American author they can turn to is Mitali Perkins, whose young adult novel, You Bring the Distant Near (Farrar, Straus and Giroux), was longlisted for the 2017 National Book Award. Spanning three generations and four continents, it tells the story of five women—Tara, Sonia, Anna, Shanti, Ranee—as they embrace change, grapple with the challenges of identity, and find fulfilment. 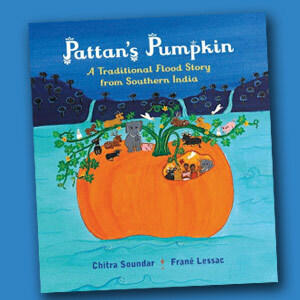 For younger readers, we have Pattan’s Pumpkin: A Traditional Flood Story from Southern India (Candlewick Press), which seems delightfully apt for Halloween. Written by Chitra Soundar and vividly imagined by illustrator Frané Lessac, it shows how a pumpkin becomes a kind of Noah’s Ark, coming to the rescue of animals and plants in a flooded valley. Thanks to Pattan, who plants and cares for a yellow-flower vine, his magic pumpkin becomes so huge that it acts like a ship. Chloe Perkins takes on a classic Western tale and gives it an Indian spin in Rapunzel (Little Simon), which is part of the Once Upon a World series. The striking, multihued illustrations are by Archana Sreenivasan. Brad Meltzer, the best-selling thriller writer, and illustrator Christopher Eliopoulos take an inspirational detour in I am Gandhi (Dial Books). Dr. Soma Mandal wrote Sonya Sahni and the First Grade: It’s International Day! (MindStir Media), in which a first grader’s unhappy experience has a positive outcome at school. There’s now an annual event where diversity is celebrated and the children gain a better understanding of others. Tim Williams did the illustrations.